David’s experience dates back to 1985 and he is a professionally registered and qualified consultant, who maintains his Continuing Professional Development (CPD) with the IOSH and International Institue of Risk and Safety Management (IIRSM). Chartered Fellow Member of IOSH (CFIOSH). Fellow Member of IIRSM (FIIRSM). Member of the Institution of Fire Engineers (MIFireE). Fellow of the International Safety, Quality, Environmental & Management Association (FISQEM). Fellow of the Chartered Management Institute (FCMI). Fellow of the Institution of Leadership & Management (FInstLM). Note: You are welcome to (and should) contact any/all of David’s membership organisations to confirm his credentials. Masters of Science (M.Sc.) Degree in Safety, Health and Environment Management (Pass with Distinction). CITB Site Management Safety Training Scheme (SMSTS). CIEH Implementing Food Management Systems. National School of Government Protecting Information certificate. In addition to regular qualifications, David’s specialist training and qualifications include: Advanced Risk Assessment, Advanced PHAST, Advanced Fire Safety, Food Safety, Licensed Business Activities and Advanced Driving. Prior to September 2007, David’s experience includes 18 years with a multi-installation chemical manufacturing site and 4 years with a multi-installation steel manufacturing site. Key roles included activities, processes, etc. governed by the Control of Major Accident Hazards (COMAH) Regulations, including management of the ‘safety report’, chairing meetings, facilitating HAZOP’s, Management of Change, interaction with the HSE, Environmental Agency and the Competent Authority, etc. David has ten years’ experience with Stage 1 H&S applications, is a registered SSiP auditor, an accredited assessor and has in-depth knowledge of the SSiP process, so can provide expert assistance with SSiP applications, such as CHAS accreditation, SAFEcontractor, SMAS, etc. IOSH Peer Review Panel Member. SSiP scheme expert panel member. What do the HSE have to say about using a consultant who is on the Occupational Safety and Health Consultants Register (OSHCR)? 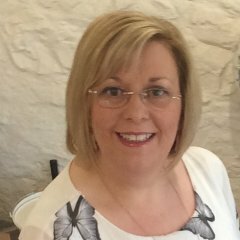 Claire has 30 years’ experience in administrative roles and has worked for more than 12 years within customer service support positions, for clients both in the UK, Europe and the rest of the World. Claire has a strong procurement background including contract negotiation, and has been responsible for recruiting and training staff. Claire ensures that all our clients receive a professional, personal and quality service. Thomas Safety Services Ltd are an established and SSiP accredited Health & Safety, Fire and Environmental consultancy based in Carmarthenshire and are providing ‘competent’ corporate, construction and fire safety advice to SME’s in Wales, Shropshire, Worcestershire, Herefordshire, Gloucestershire, Bristol, Somerset, Wiltshire, London, etc. 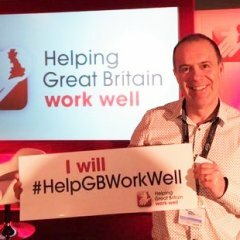 We are an accredited Safe Schemes In Procurement (SSiP) consultancy with SMAS and CHAS, and are committed to supporting and working with the HSE’s ‘Helping Great Britain Work Well’ campaign. We are also an approved school supplier. Like any other type of business, a consultancy requires several insurance policies. Our goal is to continually improve our clients management systems, whilst providing and maintaining the best service possible at all times. To serve others as we would like to be treated. To provide our clients with experienced professional and personal contact. We will provide you with a quality service. We will work to the highest standards at all times. We will always conduct and present ourselves in a professional manner. We will only specify solutions that your company requires. We will not tie you in to lengthy five year contracts like some of our competitors.